Home>Blog>News>Are you aged between 13-19 years old and have you ever used Hackney Ark Services? 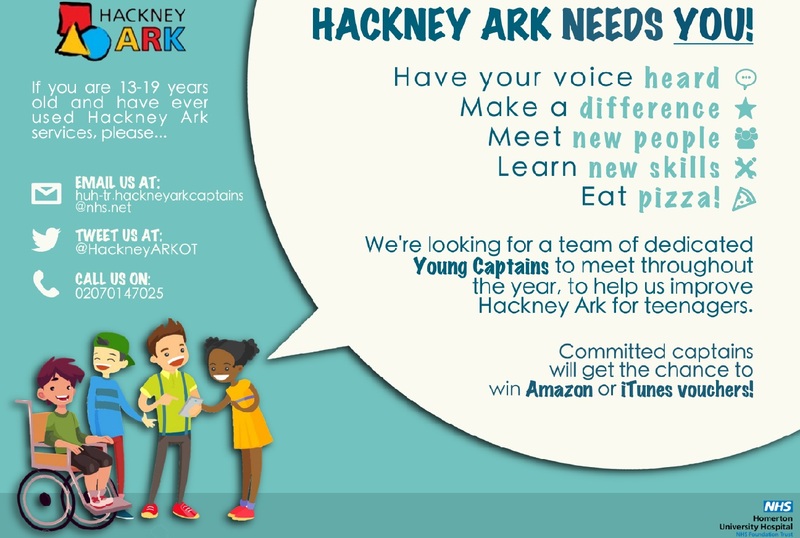 Are you aged between 13-19 years old and have you ever used Hackney Ark Services? We would like to hear from young people about what they think about Hackney Ark services, and what we can do to make it better for them. So, we are recruiting some Hackney Ark Captains to help us do this! The Captains would meet with us throughout the year to help us design new services, change old services, interview new staff, give feedback on our teams etc. As part of this they will get the chance to have their voices heard, and also learn new skills such as team work, presentation skills and interview skills. It’s up to them how far they want to take this and how much they want to be involved; they could write a blog, do some fundraising, set up social events – whatever they wanted! We are holding an information event for young people who may be interested on Thursday July 26th (info attached). There will be free pizza! We wondered if you would share with any publications that you may be sending out? They need to be between 13-19 years old.